Take a look at this video, it is very nice and was featured on fanwork fridays. In the second half, they actually used SpaceEngine(I recognised the rings instantly) and they gave it credit in the description. Wow, that was really well made. Made me tear up, even. 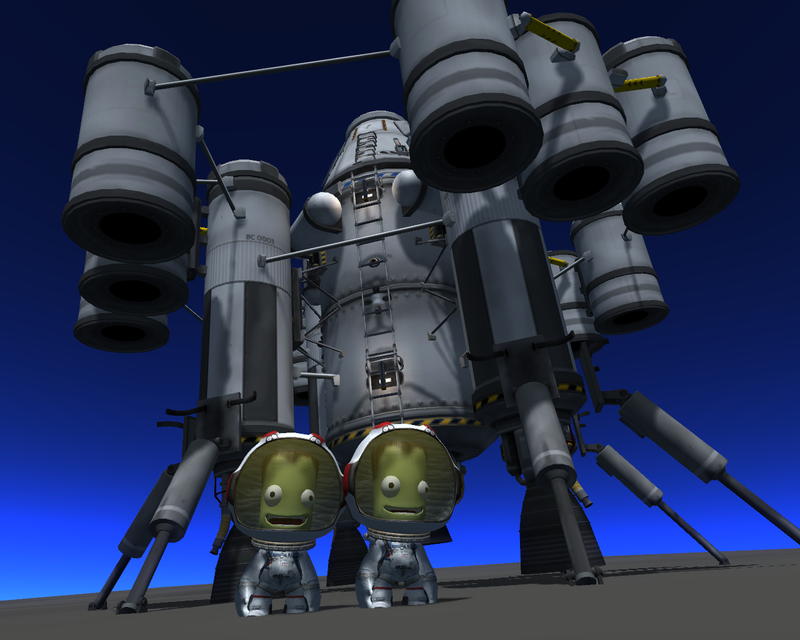 Kerbal Space Program 23.0 update is live! 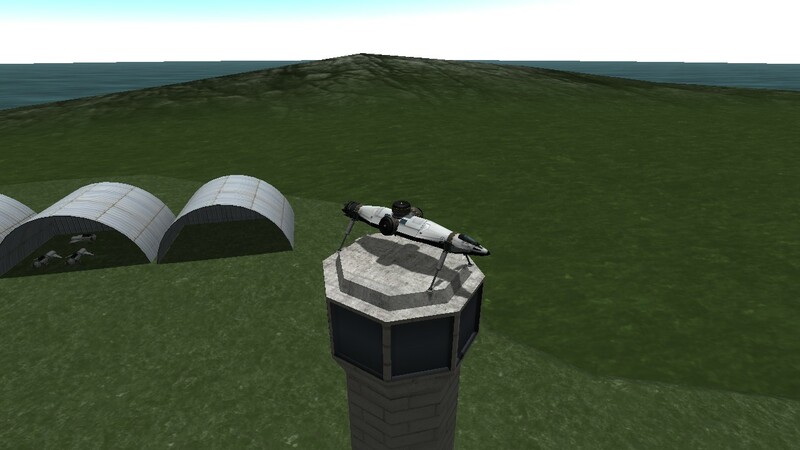 I made a hovercraft and landed it on the VAB. 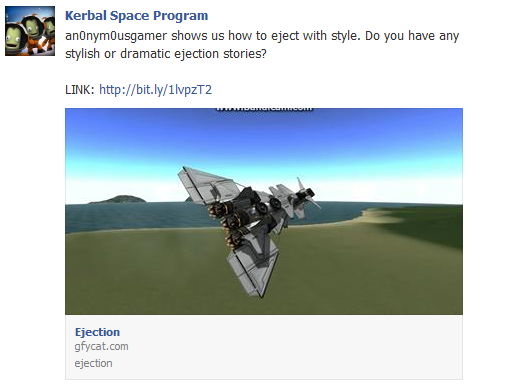 rdskns4eva, there is already a thread for posting KSP stuff here. Well that video done touched my feelers. Seems as though ever since the planet factory mod updated, more people are beginning to take textures from SE without reference or credit to the source; there are currently several solar system mods now doing this, although I'm not sure if they're all using SE textures. Just a heads up. Brought them home safely, too. Watsisname, I wonder what rocket did you use for return. My rocket was built more than year ago, when there were no docking mechanics and trajectory planner, and I modified several times. 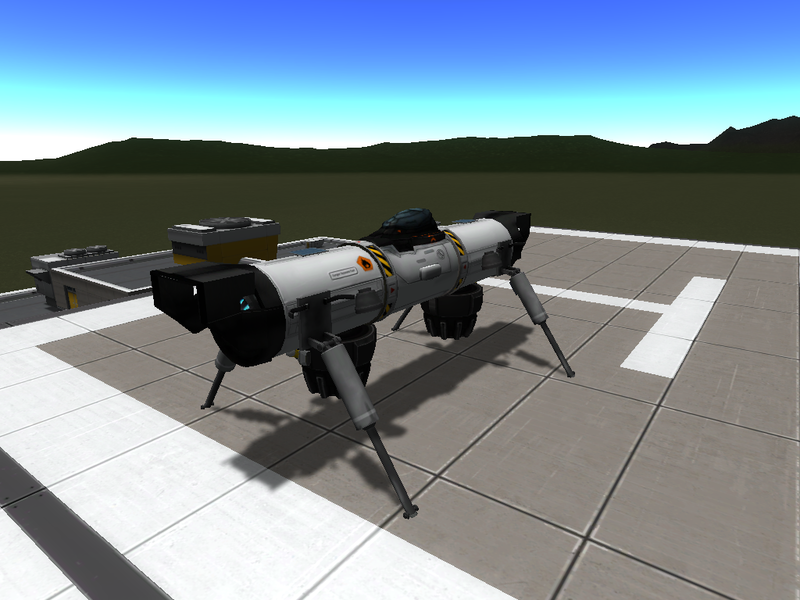 Nothing special, just a lander with drop tanks, and a fuel tug in low orbit. Actually looks similar to your design. Gotta love those FL-T800's. 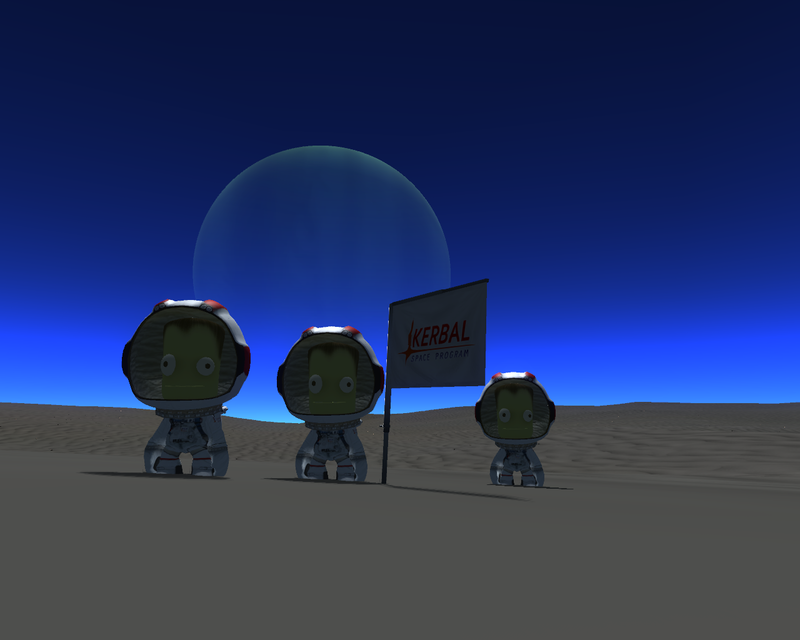 Laythe's turning out to be my favorite world for rovering, too. Just plopped one down on the highest point at ~6000 meters and drove down to the sea. Nice ride if you can avoid flipping over and exploding on the bumpy sections. I was pleasantly surprised when I saw that.